Raising healthy, well behaved children and creating healthy families requires time, dedication, education and support. Navigating the world of parenting and family often feels like one is operating a boat without a rudder. It is difficult at times, to find resources that answer your questions and provide skills and guidance you need. Keep Kids Drug Free Foundation, Inc. (KKDF) makes it easier to find the answers you are seeking. KKDF provides prevention information, prevention activities, as well as connections to hundreds of other programs and materials. KKDF has done much of the homework for you! tips to educate yourself as a parent or adult working with youth and families. specific building blocks (developmental assets) of healthy development that help young people grow up healthy, caring, and responsible. 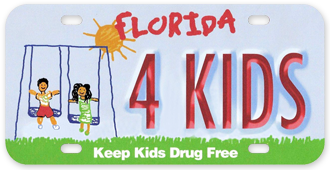 Keep Kids Drug Free receives revenues from the sale of the State of Florida KEEP KIDS DRUG FREE specialty auto tag. Revenues are distributed to the KKDF regional prevention centers to assist alcohol, tobacco, and other drug abuse programs throughout the State of Florida. KKDF tag revenues fund these programs to support families and communities in their goal to be healthy and dynamic. If your family is facing the challenge of a child or other family member involved with alcohol or other drugs, we encourage you to contact any of the KKDF Foundation, Inc., Regional Prevention Centers (listed on our contact page) or the KKDF Foundation, Inc., main office at 1.877. 628. 5437 (KIDS). SWING ino action and join the Prevention efforts in your community! There are many volunteer opportunities in every community and school. You can join an existing effort like Project Graduation, Red Ribbon Campaigns, and Recovery Month, or you can start a project from scratch… with your kids! Check out our Volunteer Section for tips and ideas! 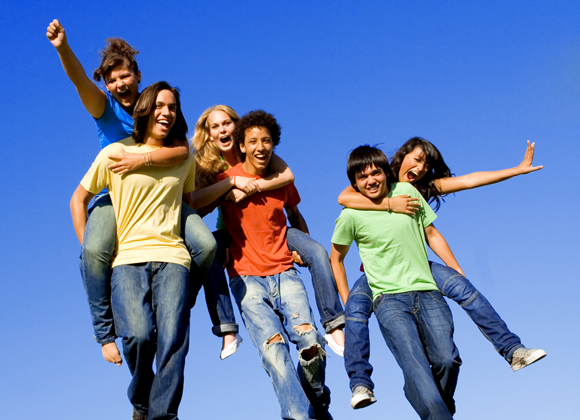 Keep Kids Drug Free Foundation, Inc. (KKDF), a Florida non-profit organization, is a resource for parents, families and young people to learn about how to prevent drug abuse. Keep Kids Drug Free promotes community awareness, designs and delivers prevention activities, and offers links to countless other resources that support healthy families. The KKDF auto specialty tag is available at any county or independent license tag office. You can replace your current tag at any time. Simply take your current tag into any tag office and request the KKDF auto specialty tag OR you may purchase the KKDF auto tag when you lease a vehicle, buy a vehicle or renew your current tag. You may also renew your tag online at www.GoRenew.com.